Following the successful collaboration project initiated in 2015, Stacion – Center for Contemporary Art Prishtina is pleased to announce the Open Call for Summer School as School 2016. The application deadline is 19 June, 2016. The results will be announced no later than 22 June, 2016. The program is held 3–18 July, 2016. ‘Summer School as School (SSAS) is an art and schooling platform, stationed in Prishtina, with collaborating partners in Ljubljana, New York, Belgrade, Vienna, Oslo, Skopje, and Sarajevo. Course 1: Exhibition Histories and Canons of Contemporaneity, with Jelena Vesić and Branislav Dimitrijević (4–7 July 2016), Course 3: Producing Shows: A Practical Guide to Exhibition Making and Project Management, with Martin Fritz (11–15 July 2016), Course 5: How to Cook: A Conversation on Curating, Honesty, and a Guide for Workers in Culture with Edi Muka (13–14 July 2016), Course 2: Storytelling, or a Box with the Sound of Its Own Making, with Felix Gmelin, assisted by Gustav Annerblom (3–9 July 2016), Course 4: Should Contemporary Art Be Critical?, with Miran Mohar (9 - 17 July 2016), Course 6: Video/Film: Expression in Motion pictures, with Pepi Peter Sekulich, assisted by Matija Jakin (5–17 July 2016), Course 7: Housing: Making the Impossible Possible, with STEALTH.unlimited (Ana Džokić and Marc Neelen) (12 – 16 July 2016). Public lectures and presentations by Anne Barlow, Branislav Dimitrijević, Doorman of the Salon de Fleurus, Ana Dzokić and Marc Neelen, Rike Frank, Felix Gmelin, Petrit Halilaj, Bujar Hoxha, Liburn Jupolli, Vjollca Krasniqi, Joa Ljungberg, Miran Mohar, Nat Muller, Renaud Proch, Amila Ramović, Anri Sala, Leunora Salihu, Milica Tomić, Jelena Vesić, Anna Witt, Blerta Zeqiri amongst others, are a constitutive element of SSAS 2016, designed for the wider public but also to function as interventions into courses held during SSAS. SSAS as a platform is further developed through exhibitions and performances of selected artists. In conjunction with SSAS 2016, Stacion – Center for Contemporary Art Prishtina will hold the exhibition Salon De Fleurus, open Museum of American Art in Prishtina, and host a performance by Selma Selman. SSAS was originally inspired by the case of Kosovo, where the education system was finalized in mid 1970s. The project’s larger context responds to the art education systems of Kosovo, Macedonia, Serbia, Bosnia and Herzegovina, and Slovenia. Stacion – Center for Contemporary Art Prishtina and partner institutions with SSAS aim to create a unique international educational platform, based in Prishtina, as a progressing model; to develop an interdisciplinary curriculum and to engage practitioners from the region and beyond in sharing knowledge and expertise with international students and the public. SSAS is a project by Stacion – Center for Contemporary Art Prishtina initiated in collaboration with The Academy for Visual Arts (AVA), Ljubljana. SSAS 2016 is implemented by Stacion – Center for Contemporary Art Prishtina in partnership with AVA, Ljubljana, Independent Curators International (ICI), New York, press to exit, Skopje, and ArsAevi, Sarajevo. 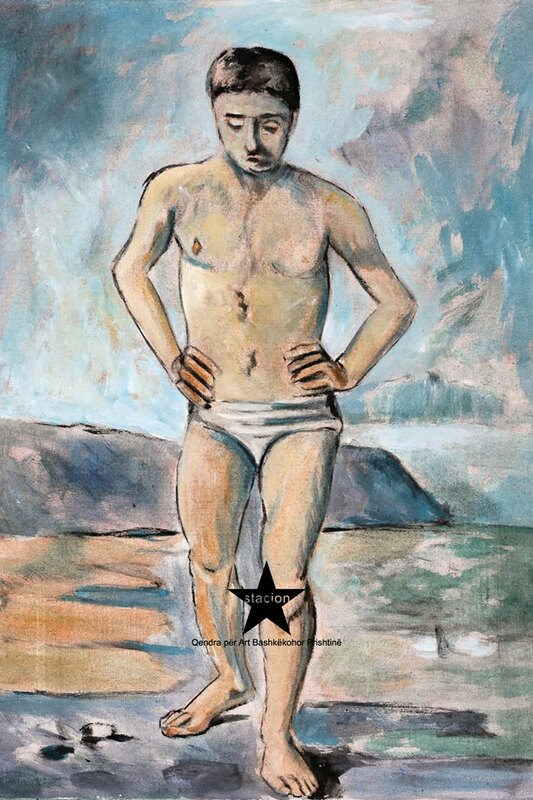 Image credits: Paul Cézanne, The Bather, 2013, Collection of the Museum of American Art in Prishtina.